You pick up your horse’s hoof and notice a pale-coloured protrusion on the frog that looks a bit like a plantar’s wart, and perhaps some greyish-white fronds of tissue. Your horse isn’t lame at this point, but you can see that something’s wrong. The affected area may even have an unpleasant smell. 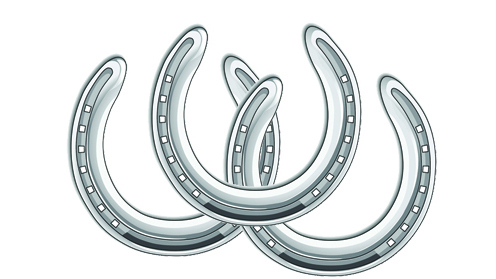 Your horse may have hoof canker. Veterinarian David Wilson, professor of large animal surgery at the University of Saskatchewan, has published several research articles and a couple of book chapters on this topic. Sometimes, he says, canker is mistaken for thrush, but these two diseases actually work in opposite ways. Thrush causes a loss of tissue in the frog; canker causes an overgrowth of tissue. The canker itself doesn’t hurt, but the overgrown tissue is soft and doesn’t protect the deeper parts of the horse’s hoof, so the animal often becomes lame when the tissue is punctured by a stick or stone. Historically, according to Wilson, this condition was seen most often in the hind feet of draft horses, probably because many of them were kept in tie stalls with their feet in wet bedding most of the day. Today, canker is seen in all breeds, although Wilson adds that it can be particularly challenging to treat in draft horses because of their very large hooves. While it occurs across North America, it is most common in the southeast US. When Wilson worked in Florida, he saw a couple of cases a month; now in Saskatoon, he sees a couple of cases a year. Canker is believed to be caused by a micro-organism, possibly the Fusobacterium necrophorum, which is known to be involved in foot rot in sheep. 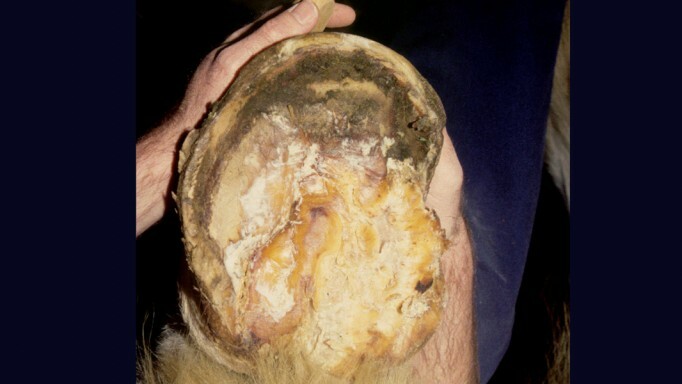 “The lesions of hoof canker are very similar to the foot rot lesions in sheep,” says Wilson, “and I suspect one day we may be able to confirm the micro-organism, but we are not there as yet.” He explains that when the horse’s hooves are wet for an extended period of time, the keratin in the foot structure softens, making it easier for bacteria to enter. Recent flooding in southeast Saskatchewan, for example, led to some cases Wilson treated. As the bacteria found in hoof canker cases lives in the soil, the best way to prevent the condition is to keep the hoof clean and dry. “Daily picking out of the horse’s hooves will likely prevent the condition from developing, and this may be especially important for horses in wetter environments,” says Wilson. The other benefit of regular cleaning of the horse’s hooves is that if canker does develop, you’ll be able to spot it early, making the treatment much simpler and more likely to be successful. 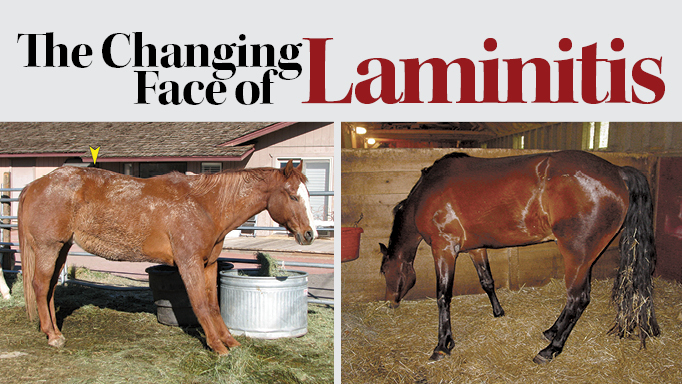 The treatment for hoof canker has improved dramatically over the past 30 years. In the early 1980s, veterinarians would aggressively debride (surgically remove dead tissue from) the affected hooves, often severely compromising the hoof in the process of curing the disease. Today, debridement is still part of the treatment, but it is done much more judiciously so that all abnormal tissue is removed, but as much of the germinal epithelium as possible is retained. Wilson carries this out with the horse under general anaesthetic and using a tourniquet to prevent bleeding. Some veterinarians use a regional anaesthetic and do the debridement with the horse standing. At least one veterinarian is using cryosurgery to freeze and remove the affected tissues. 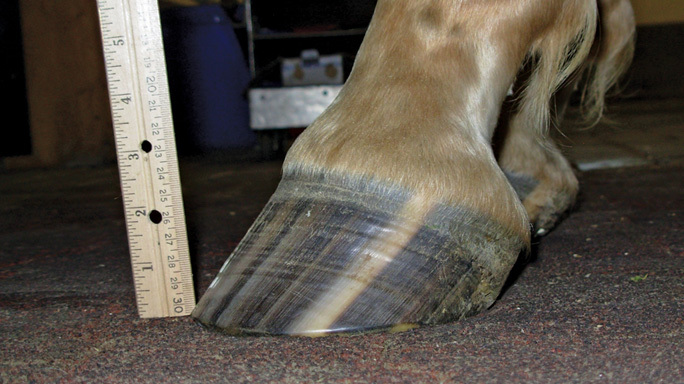 The hoof is then treated with a topical antibiotic, usually metronidazole. “The most important consideration to both short- and longterm success is the ability to maintain a clean and relatively dry hoof environment after the debridement,” says Wilson. “That means long-term bandaging and effective use of shoes with hospital plates.” This phase of treatment lasts at least a month, and in some cases, two or three months. Canker doesn’t appear to be contagious, so there is no need to isolate the horse, but the treatment program usually requires that the animal being treated is kept separate anyway. 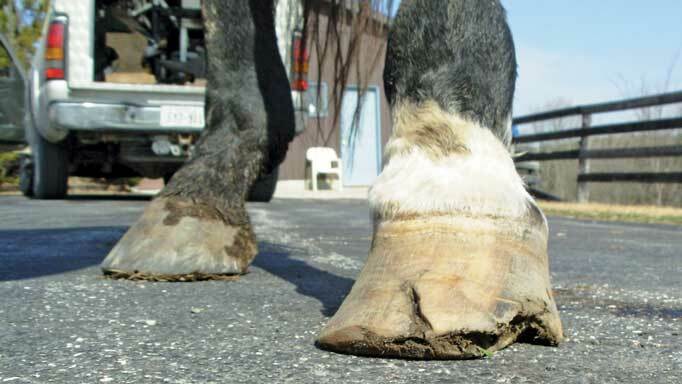 Although a hoof infected with canker can look quite alarming at first, if deeper tissues haven’t become involved and there is no damage to other parts of the foot, the horse has an excellent chance of being able to go back to his regular activities. And it’s highly unlikely that the problem will return: Wilson says he has never seen a case of canker recur in a horse that has been successfully treated. Analyzing the pros and cons of shoeing horses.